Welcome to Embrace Health….Welcome Home! Embrace Health offers safe, convenient, effective and natural solutions and education to support your body, mind and spirit in total health and well-being. Did you know that in days past, the Superior Physician was only paid if their clients stayed healthy? Embrace Health is about a new health paradigm, one that traditional medicine and methods do not follow. This new paradigm states that given the proper conditions, our bodies have the innate ability to heal themselves and be healthy. What easy steps can we take to support our body in health? Of course, there are some situations where medicine and the superior technologies we have are critical to our lives and should be used. However, the vast majority of prescription drugs are used to treat symptoms and they do not address the underlying root cause. Drugs rarely address the root cause issues of heath, they just cover them up. This site is a doorway – a doorway to many possibilities and to I hope your further awakening. If you are currently healthy – GREAT! What are you doing to ensure continued health? If you are currently having a health challenge, what can you do to support your body? I encourage you review our information, resources and natural solutions available within this site, and take responsibility for your own health! One of the most important things you can do to safeguard your health is LEARN the real truths and take action. Welcome to a new paradigm: Embrace Health! You are worth it! Founders of Embrace Health Inc.
Our comprehensive program that covers dozens of natural Staph and MRSA remedies that work, and how they’ve been used. 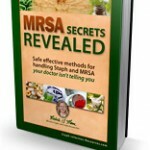 Also included is a 3 step method to stop Staph and MRSA. Also includes how-to audios and videos, interviews with health professionals, a holistic practitioner network and email support with Michelle and Les Moore. Click the above link to find out more. 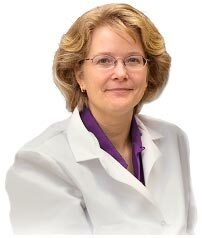 Michelle's unique blend of Scientific and Natural Health experience has helped empower others to understand and overcome chronic recurring health challenges. Toxic Body Care – What’s Hiding in your Soap? *Disclaimer: I am not a doctor or health care practitioner, but I am someone who has overcome many health obstacles that traditional medicine could not solve. This information is based upon my scientific research, education and personal experience and it is for educational purposes only. Unless otherwise noted, information in this website has not been evaluated by the US Food and Drug Administration (FDA). This information is not intended as medical advice, diagnosis or treatment. Always seek the advice of your physician with any questions you may have regarding any medical condition. Each individual's success depends on his or her background, dedication, desire and motivation. As all health issues have inherent risk, our information and testimonials are not intended to infer or guarantee that anyone will achieve the same or similar results. The company websites and emails may contain affiliate links and Embrace Health, Inc. may receive commissions associated with any purchases you make on subsequent websites. Therefore, please do not rely solely on endorsements contained in our website or emails as your sole source of information in evaluating whether to make a purchase on these sites. You should always exercise due diligence before purchasing from any site online.